← Goldfish Crackers Offers Ways to Create #GoldfishSmiles #Giveaway Winner Is … Is It You? It’s smart, and convenient, to use the right products that will make our lives easier. Seriously, doesn’t it make sense? Fortunately, Swiffer products are economical enough, so you can try it to see if it’s a fit for you. Given that it has the “Good Housekeeping” seal of approval, and a “Satisfaction or your money back” guarantee, there’s really no reason that will keep you from trying it. Is there? The Swiffer WETJET kit comes with: a power mop with scrubbing strip, a multi-purpose cleaning solution, original pad, and an extra power pad. When you first open the package, you’ll discover that it is really simple to put it together. The package does not come with 4 AA batteries; you’ll need to have them in order for the motor to spray the liquid. Other than the batteries, you are provided with everything … you are ready to discover quick and easy cleaning at its best. In fact, if you leave a clean pad attached and a bottle of cleaning solution inserted you will always be ready! WetJet can clean a variety of floors: finished and sealed wood and laminate, marble, stone, ceramic tiles and vinyl and linoleum. Note: the WetJet solution is very safe for pets; however, as a precaution pets should be removed from area while floor remains wet to avoid contact and the potential for minor, temporary skin irritation in some pets. Aside from the simple assembly, and the quick and easy way to clean, I personally love the scent of the cleaning solution. I have two cats, and their smell can be difficult to conquer. The Multi-Purpose Open-Window Fresh cleaning solution is definitely the solution. To quickly prepare for my daughter’s birthday get together, I gave my daughter instructions to Swiffer WetJet the living room. The living room has a door to the backyard, and is where my kitties get visits from the outdoor cats. Spraying by the door is quite common (both indoor and out), so my living room ends up smelling a little. 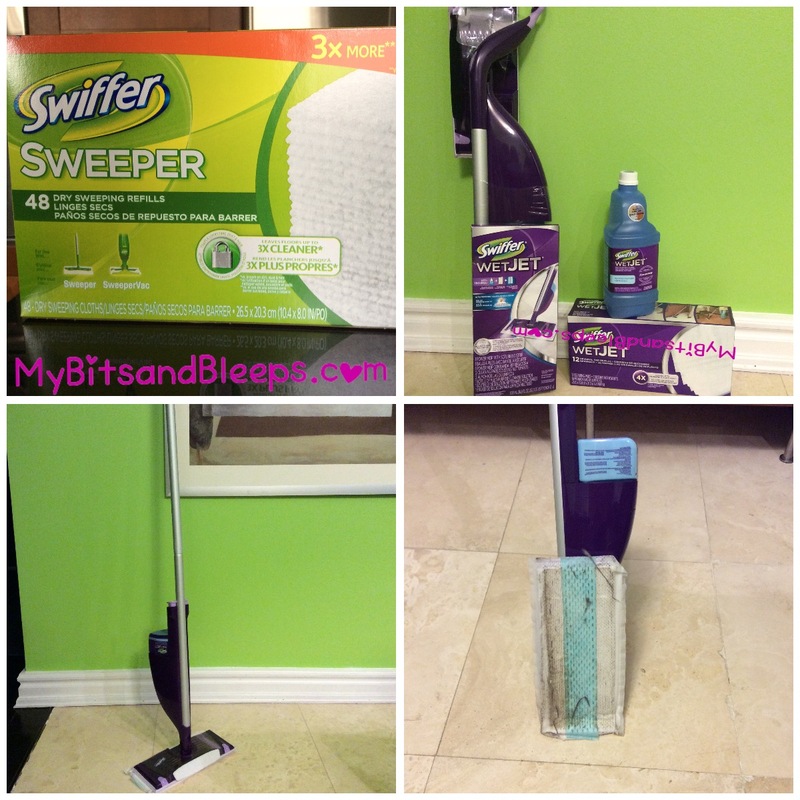 This Swiffer WetJet is familiar, and easy to handle, and even enjoyable to use. Hey, if my teen-aged daughter loved guiding the WetJet throughout the house then I’d say that chances are good that other teenagers may feel the same way! Imagine, teenagers actually cleaning! I want to get one of them. I use a mop sometimes or old-school style with a rag on my knees. The older I get, the harder that gets though.